In Massachusetts, you can choose to file your will for safekeeping in your local county probate court. During your lifetime, you are the only person who can access the will from the court's files, but you can name a person to retrieve it upon your death. When you die, if no one claims your will from the court's files, the probate court opens it up to the public following publication of your death. 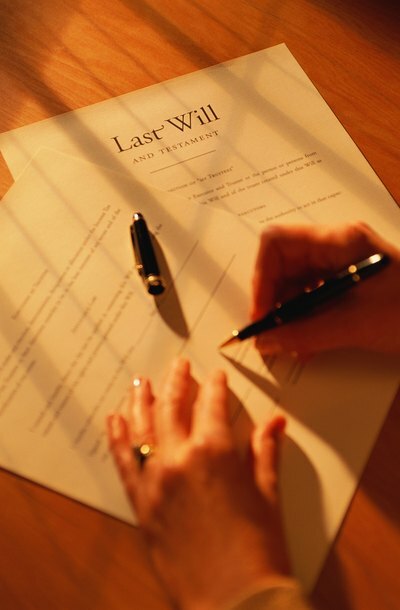 If you leave a will when you die, a petition for probate is filed in the probate court by your personal representative, or executor. The probate process is necessary so the executor can distribute your property to your heirs. Once probate is opened, your will becomes part of the court's records. Massachusetts law allows any person to review and obtain copies of court documents, including wills that have been submitted for probate. How Can You Check on a Probate Claim in Massachusetts? Once a will is filed in Massachusetts and a probate is opened, all documents filed within the proceeding are public record. Anyone can check on a probate claim in Massachusetts at any point in its progress. You may need to check on a probate claim if you are a creditor and you need to know when to expect payment of the claim from the estate. You may also need to check on a claim of heirship if you are asserting that you are an heir of the deceased who should participate in the final distribution of estate assets.